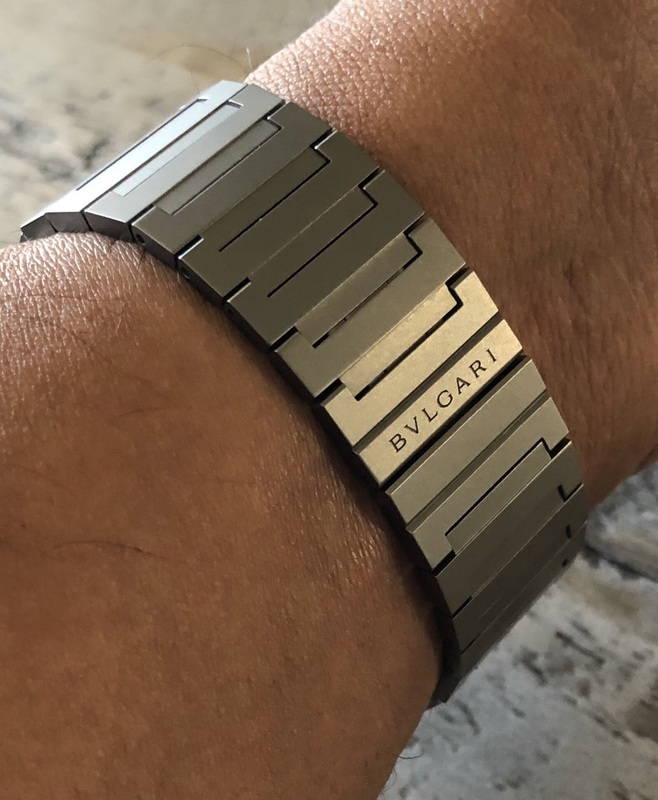 Bulgari did a great job with this watch. It is 40mm in size and only 5.1mm thick. 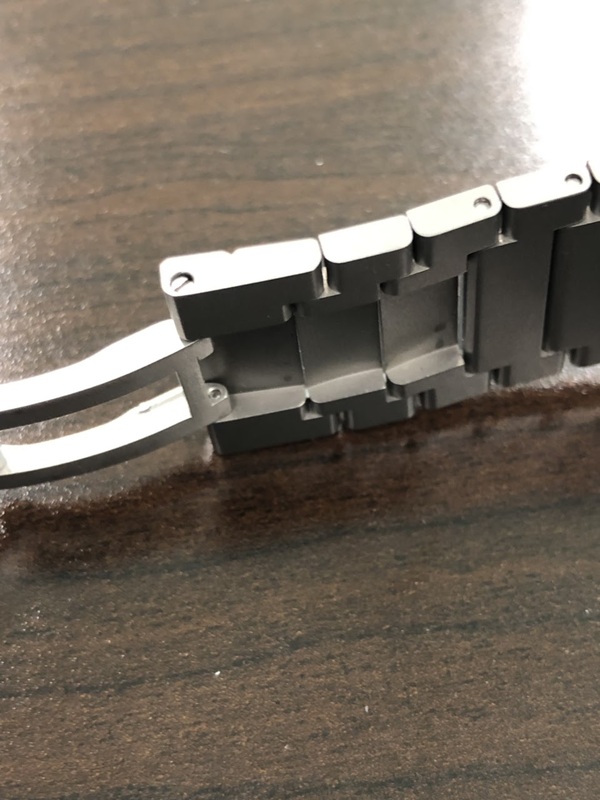 Most thin watches with larger diameters have a awkward fit on the wrist, but the flowing bracelet design somehow makes this sit well. I like the fact that this watch invites daily use just given the great combination of thinness, light weight and a sandblasted finish that just seems like it will take daily brushes and knocks better than highly complex polished surfaces like a Nautilus or AP Jumbo. It also remarkably feels quite rigid for a thin watch. Notice the cutouts in the links next to the clasp, so it sits flush with the bracelet when closed. Which makes for a nice smooth profile. 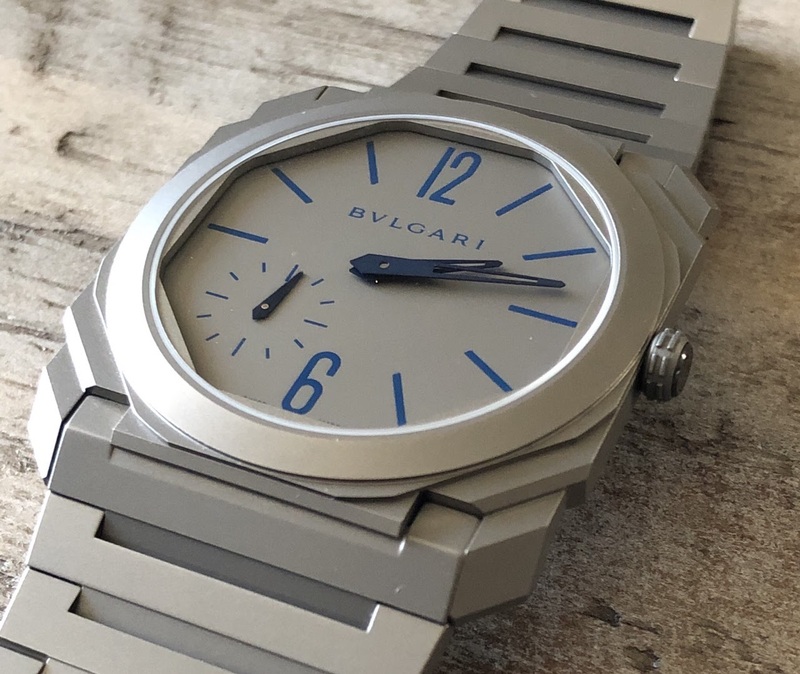 Bulgari put a lot of thought into this design and developed an innovative ultra-thin in their own unique vision. I consider this to be a breakthrough design which they need to shepherd well into an icon by not modifying it too frequently. I had the opportunity to try one of these on and didn’t notice the extra attention paid to the clasp. Great idea, fitting well within the aesthetic and deisgn sense of the brand. Having not seen this one yet, but I find this watch also outstanding! Here Bulgari demonstrates, quite impressively, that it deserves its place in haute horology. Thank you for this post.